Our custom schedule makes it easier than ever before to plan your time at an upcoming conference and build the best schedule for your job role. While on the Conference Schedule page of any conference site, just click the "Create a custom schedule" link in the upper right-hand corner of the page and follow these quick steps. It only takes a few minutes! Follow the prompt and either a) login to an existing account at members.techwell.com and skip to Step 4 or b) create a new account and follow all of the steps. When you are creating a new account choose a preferred user name and email address, and then hit "continue" to enter the rest of your contact information. 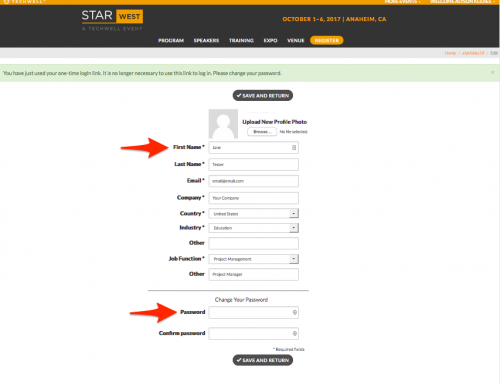 Another option is to register with one of your existing social media accounts with the buttons on the right hand side. Please login to your same email account that you indicated on the member registration form and click the confirmation link provided within the email. 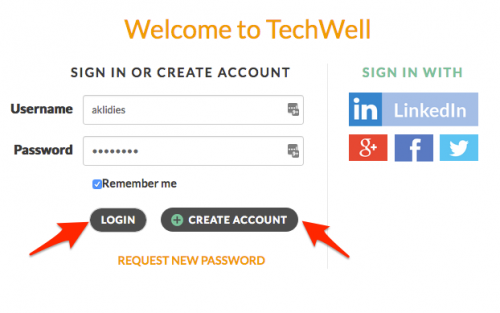 Once you click the link, you will be prompted to “Login” where you will need to update your password for your new TechWell member account. Now that you are logged into your account, you can return to the Conference Schedule page and begin making your custom schedule. 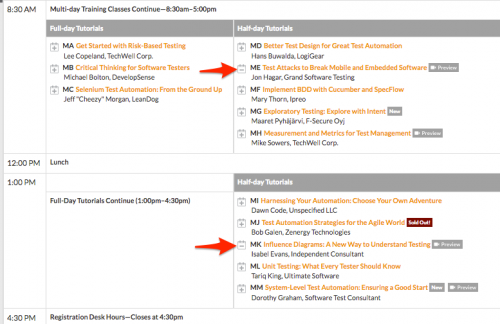 Click the "+" icon next to each of your desired sessions to add it to your custom schedule. 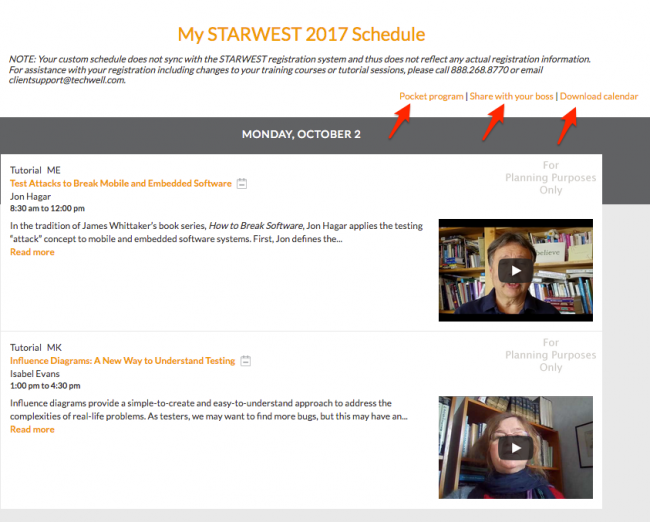 When you are ready to view your customized schedule, click the "View your custom schedule" link in the upper right-hand corner of the page. Enjoy your customized schedule page with options to save a pocket program, share with your boss, or download to your calendar. Keep in mind, this custom schedule is for planning purposes only and tutorials can not be guaranteed until you register for the conference and availability is confirmed. If you have questions, please feel free to contact the TechWell client support team at [email protected] or call us at 904.278.0524.